As you start rehabilitating your credit, you will find that you have a dizzying array of information to take in. For a lot of people, it can be overwhelming. This is where a credit repair company can help. Lack of Comfort with Finances To repair your credit yourself, you will first need a certain amount of financial education. If looking at all of those NDs and other codes gives you a headache, you may wish to job this out. 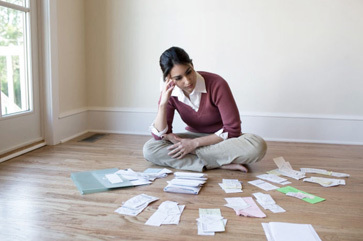 Lack of Discipline Following up with dozens of creditors can be tedious work. Be honest with yourself: do you persevere when things are difficult, or do you procrastinate and push it aside until later? The desire to do it yourself is of no value to you unless you are able to follow it up with action. Too Little Time Do you have the time to dedicate to the task? Many of us work long hours, and dealing with hours of negotiations with creditors is the last thing we want to do at the end of the working day. At times, it will take multiple contacts with creditors and credit bureaus to get inaccurate derogatory marks removed and debt settlements negotiated. Your time may be better spent working on other areas. Delegating this task to skilled professionals can be a far better choice if any of the above describes your personal situation. But, it’s important to pick the right credit company. While there are many honest businesses, there are also many companies that scam consumers. Be sure to vet any company carefully before signing on. erasing a bankruptcy. Nothing can do this but time. giving you a new credit identity. Anyone who says that they can is performing fraud. teaching you ways to “trick” the system. Usually, this means lying on applications, which can cause you serious problems. None of these are legally allowed. At best, you will spend your hard-earned money on services that won’t be delivered. At worst, you can wind up in legal trouble. Also, it is illegal for a company to collect money before going to work on your case. Before engaging a credit repair company, ask for references from happy customers, and ask how they feel they can help in your case. A quality credit repair company has trained individuals who have the experience to get results. If you need help getting your financial life back on track, they can help.